Nutritious Food Architect Ray Shim shares this signature recipe for a light and scrumptious dessert that's so good for you! Enjoy! Mix all ingredients properly, refrigerate for about 3 hours and serve. Note: Young Living Vitality and Young Living Plus (+) line availability based on market. In the mood for something savory? Gather for a traditional holiday feast with Savoury Delights that bring people close. Food has always brought families and friends together. Conversations flow at the dinner table, laughter and love fill a home when a cooked meal is enjoyed and everyone partakes in the celebration. 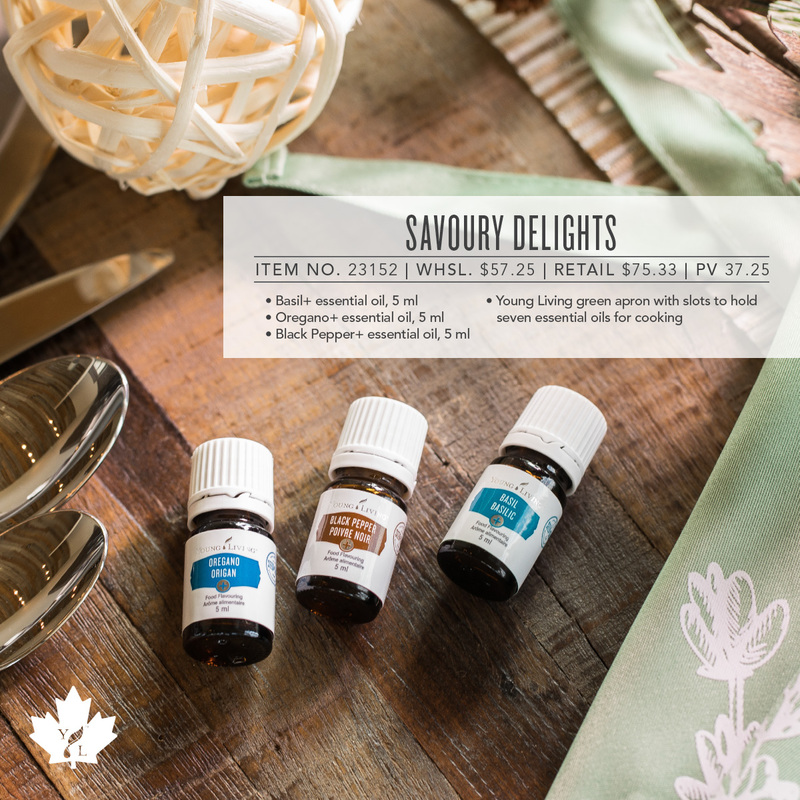 This holiday season, when you’re making traditional recipes like ham, sweet potatoes, turkey and all the trimmings, add a little savoury goodness to the meal with Young Living Plus oils. The Savoury Delights Set makes it easy to infuse enticing flavours into side dishes or the main course. This gift set is a beautiful way for family members to come together, enhancing recipes handed down from one generation to the next, or to experiment with new recipes and start new traditions. Savour the season and the moments where you can spend time with the ones you love, making recipes—and lifetime memories. Consider enhancing the flavor and aroma of your favorite beverage by adding a drop of Lemon+, Lime+, or Spearmint+ to it! Give a gift from the heart—Sweet Delights beneath the tree. For as long as families have gathered to celebrate the season, treats and sweets have played a role in holiday traditions. From gingerbread men to sugar cookies, plum pudding to yuletide logs, the holidays are not the holidays without sweet temptations. Chocolate Santas and candy canes may be a welcome addition to a child’s stocking, but nothing compares to home baked goodies from the heart. Baking is a wonderful way to spend time with loved ones, experiment with new recipes, laugh, learn and love. This holiday season, while visions of sugarplums dance in their heads, offer traditional Sweet Delights beneath the tree. This set is the perfect recipe for family fun. Young Living purple apron with slots to hold seven essential oils for cooking. Give a traditional family recipe a fresh twist—add zesty lemon, lime or spearmint flavourings and enjoy the time-honoured tradition of baking together and sharing your creations with others. That’s the sweetest delight of all. 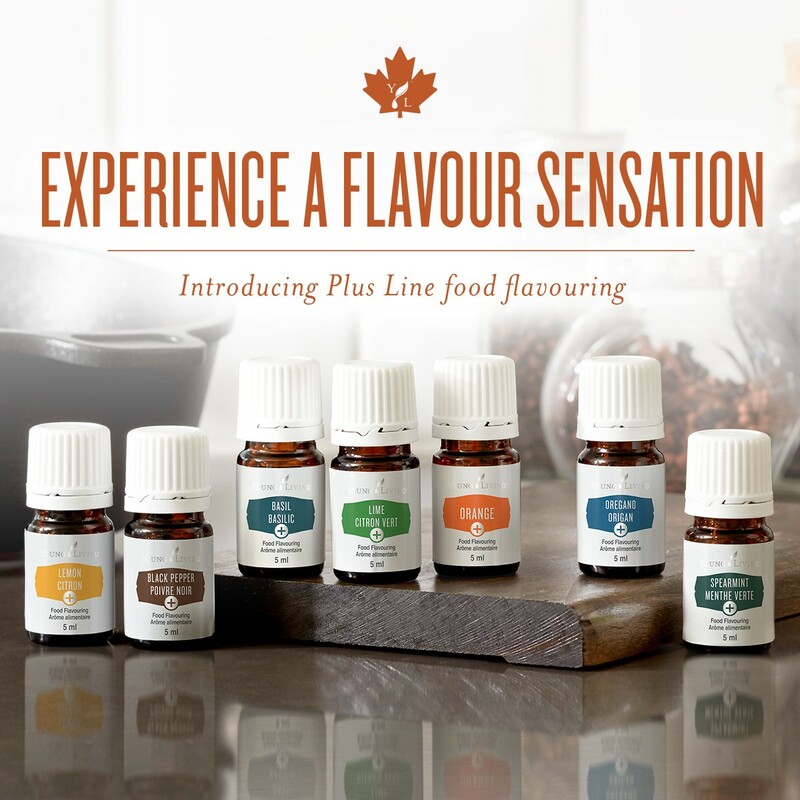 Experience a Flavour Sensation with Young Living Canada's new Plus (+) Oils! 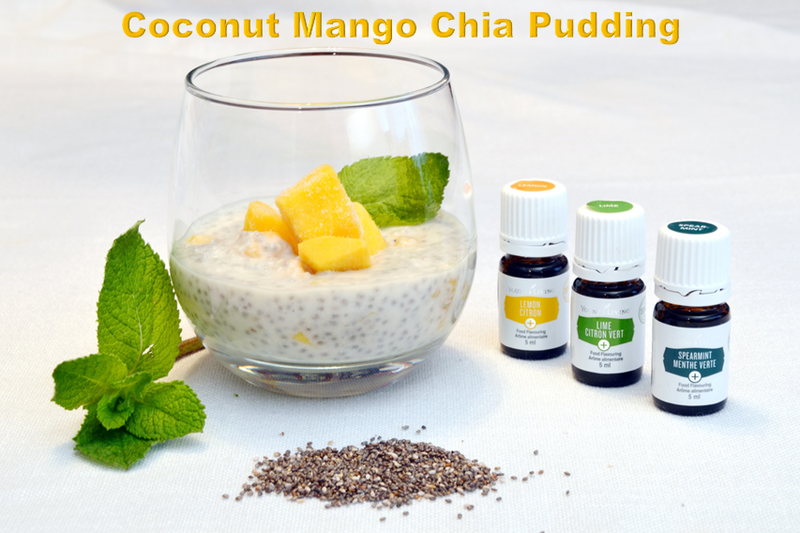 We simple love integrating these Plus (+) oils into our favorite recipes! How about you? Prior to joining Young Living, we were leading busy and stressful lives, like most people, trading time for money. There was not enough time to do all the things we want which were important to us, like travel and giving back to community. If we were to stop working, our income stopped. We felt caught in the rat race. Our wellness goals were compromised. Thanks to Young Living, our lives have been completely transformed! We wake up each day full of energy and vitality! Embracing this amazing life of wellness, purpose and abundance fuels our passion to reach out to help others achieve the same! Inspiring others to connect to the paths of their heart fills us with pure joy! We are grateful for the time and financial freedom, as wellness entrepreneurs, to be able to do what we want when we want. 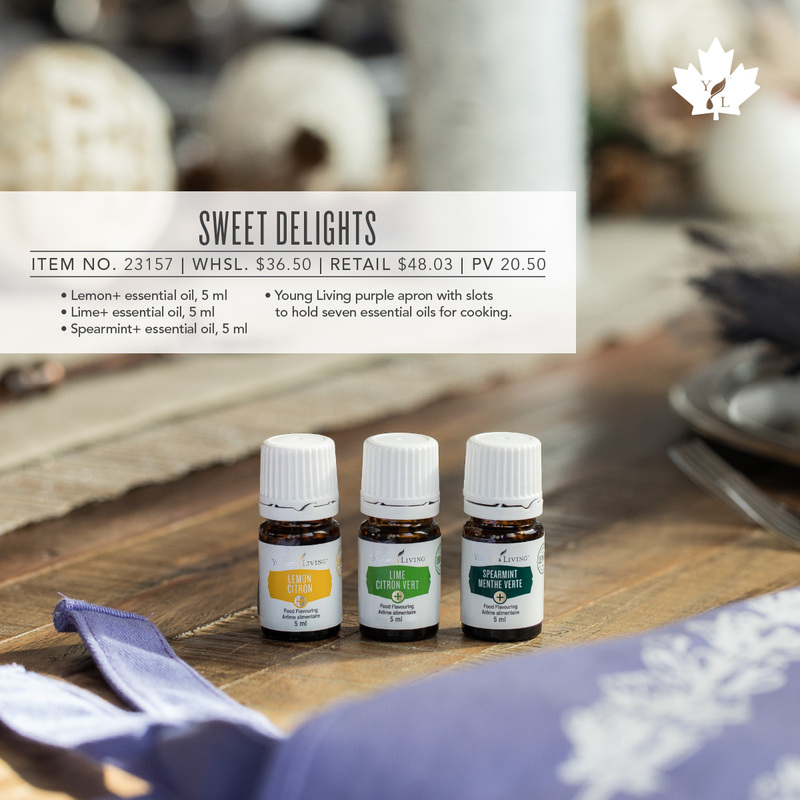 It gives us great pleasure to invite positive, forward thinking, entrepreneurial minded individuals who feel aligned with Young Living's core values to join our Heart Scents Community where we get to laugh together, work together and play together. The friendships forged among our oily family members is simply priceless! Take a look at the video below to understand why Young Living is the ideal choice to support our families and next generation for a better future. We are delighted our Heart Scents team members are featured in the Northern Lights Black Spruce Farm Visit segment of the video. They are the ones stomping wood chips in the cooker grinning from ear to ear! We look forward to growing our Heart Scents Community to introduce this essential oil infused wellness lifestyle to every corner of the world, changing the world one drop at a time! Connect with us if you feel the calling to join us to embark on this amazing journey! Our team's mantra: "The path to awakening the heart makes sense!"